The ideal lawn is one that is lush, level and healthy. In order to achieve this, there comes lot of hard work and vital preparation. 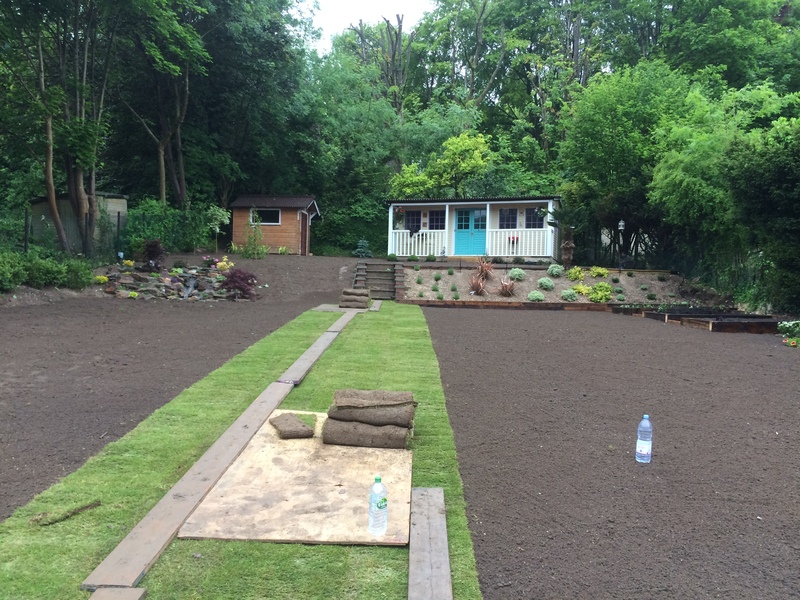 At Hollyoak Gardening Service we pride ourselves on devoting a major part of our time to preparing ground to a high enough level for the new turf. During 2011 we laid approximately 3,000 sqm of new turf, all of which continues to look lushous, level and healthy. This is due to our preparation. Where required we cut back existing lawn to 1.5 inches below ground level before rotavating the ground and then applying topsoil. This is then levelled out and followed by a layer of turf fertiliser. Once this preparation is complete the new turf is then laid and rolled over to make compact. Now comes the important work to maintain the health of the lawn. During our after care consultation we will advise you on exactly what you need to do and when it needs to be done.